But is all sunscreen safe? There are basically two different types of sunscreens; chemical based and mineral based. Now, the ones that use chemicals to block the suns rays are a little bit scary. One of the most worrisome ingredients in many chemical sun blockers is retinyl palmitate. This is a vitamin A derivative that appears to speed up the development of malignant cancer cells when exposed to UV rays. This pretty much defeats the purpose of protecting your skin from cancer by using a sunscreen. Plus other ingredients such as oxybenzone, octinoxate and homosalate penetrate the skin and may act as endocrine disruptors. In other words, they can mess with your hormones. And don’t forget about the inactive ingredients. They can also have an influence on your hormones. This includes parabens (i.e., methylparaben, ethylparaben) and pthalates, which are usually identified by the words “fragrance”, “perfume” or “parfum”. 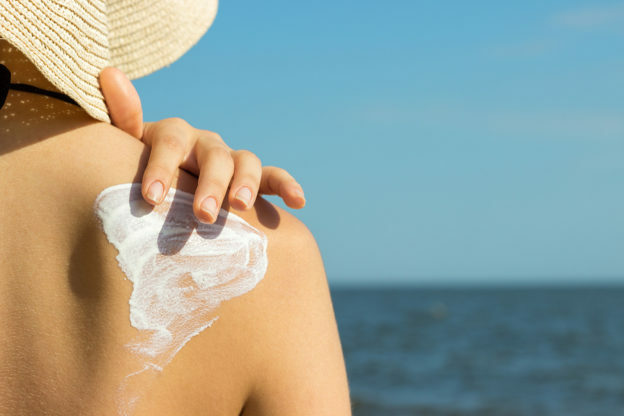 As far as I’m concerned, mineral-based sunscreens like zinc oxide or titanium dioxide are your best bet to prevent sunburn, skin damage and premature aging. They sit on top of the skin’s surface. But instead of absorbing the sun’s rays, they act like a mirror to reflect both UVA and UVB away from your skin. But there is one caveat. When you look for a mineral-based sunscreen, make sure to read the entire ingredient list prior to making your purchase. The reason I say this is simple. Some sneaky sunscreen makers add chemical filters to their zinc oxide formulas. So the big print on the front of the label screams “ZINC OXIDE”, while the fine print on the back lists numerous chemical based active ingredients. The only active ingredient should be zinc oxide. I also recommend checking the inactive ingredients for parabens and pthalates (fragrance). Now that you have your perfect sunscreen, I have a word of advice to share before you slather it over your skin. Your skin needs to be exposed to direct sunlight in order to produce vitamin D. But if you cover yourself with sunscreen before heading outdoors, this built-in conversion process can’t take place. Since vitamin D deficiency is extremely common here in the U.S., this is a very concerning issue. When your levels of vitamin D are low, it’s associated with several deadly forms of cancer, including cancers of the colon, prostate, breast… and skin melanomas. Vitamin D deficiency also placed you at increased risk of heart disease, Alzheimer’s, diabetes, depression and fibromyalgia. With this in mind, it’s a good idea to spend 10 to 20 minutes in the sun prior to putting on your sunscreen. This will allow your body to produce all of the vitamin D that you need during summer months to ward off health issues related to deficiency. Latimer JA, et al. Determination of the Action Spectrum of UVR-Induced Mitochondrial DNA Damage in Human Skin Cells. J Invest Dermatol. 2015 Oct;135(10):2512-2518. Baggerly, CA, et al. Sunlight and Vitamin D: Necessary for Public Health. 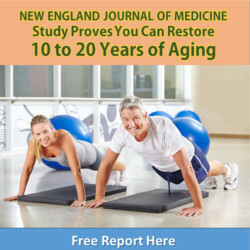 Journal of the American College of Nutrition. Volume 34, Issue 4, 2015. Yilmaz R, et al. Efficacy of vitamin D replacement therapy on patients with chronic nonspecific widespread musculoskeletal pain with vitamin D deficiency. Int J Rheum Dis 2016 Nov 11. Epub 2016 Nov 11. Serrano MA, et al. Solar ultraviolet doses and vitamin D in a northern mid-latitude. Sci Total Environ. 2017 Jan 1;574:744-750.